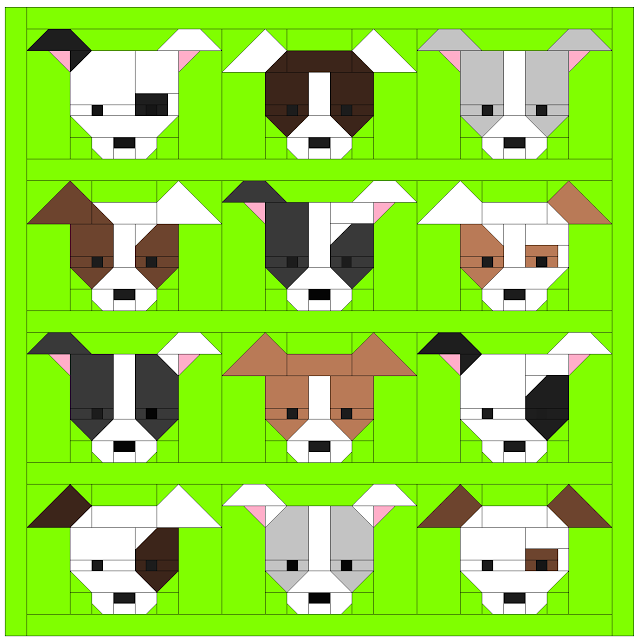 Lorna at Sew Fresh Quilts is hosting a Dog Gone Cute Quilt-A-Long. You can read about it here. She's also hosting a Dog Gone Cute Blog Hop along with it in October. I'm participating in the blog hop. 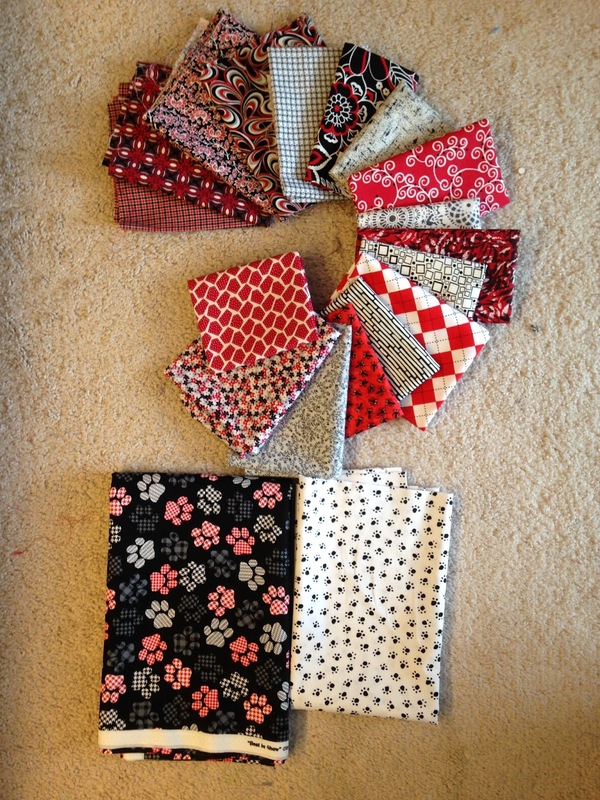 I recently went shopping for my fabric while I was finishing up the Northern Illinois Shop Hop. 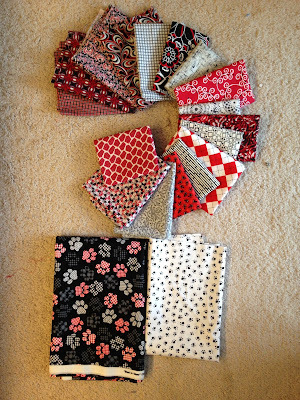 Here are a few of the fabrics I picked up. I think those little doggies are going to be Dog Gone Cute in the reds, and grays, and blacks. I can't wait to get started on it.